Welcome to The Beyond! We are a sci-fi/fantasy roleplaying forum. In this world, it's a game of survival; only the fittest will live. Don't worry, we won't bite; we've got an awesome staff team, and equally amazing members. Make sure to read over the rules before you begin rping! Make sure to vote on the revamp! -Does the site seem a bit empty? Maybe you should check out the site's Discord! Join here! -With school back in session, many people will be busy. If there are any questions, feel free to message the staff. Have fun rping! Here you can find new things about the forum, so make sure you check here often! Hair: It's long, strait, gold, and goes down to the bottom of her back. Looks: She wears a black and red zig-zagged tank top with a sleeveless cardigan that is as long as her tank top. She has black skinny jeans, black steel-toed boots with two buckles on them. (One near the top and one closer to her foot.) 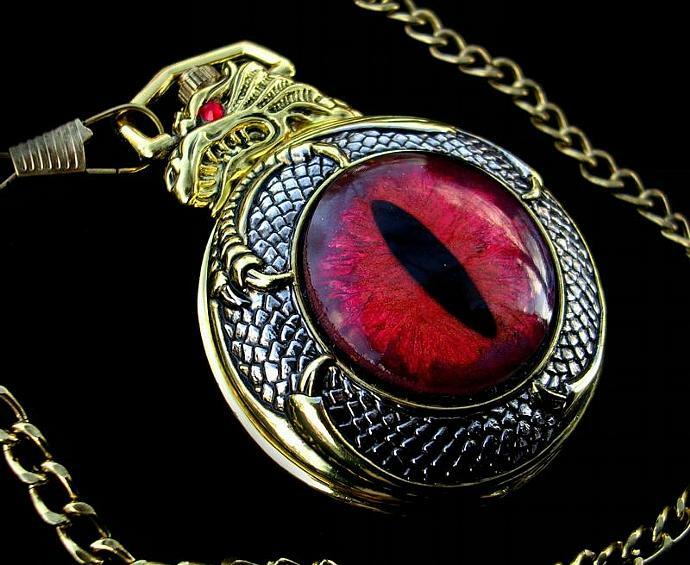 She accessories with a golden pocket watch with a red dragon eye in the center and scales and claws covering the rest of the front. The top has a little dragon head on it and the back has more scales, a dragon wing and a dragon tail. The golden chain of the pocket watch reaches from her front to her back pocket. 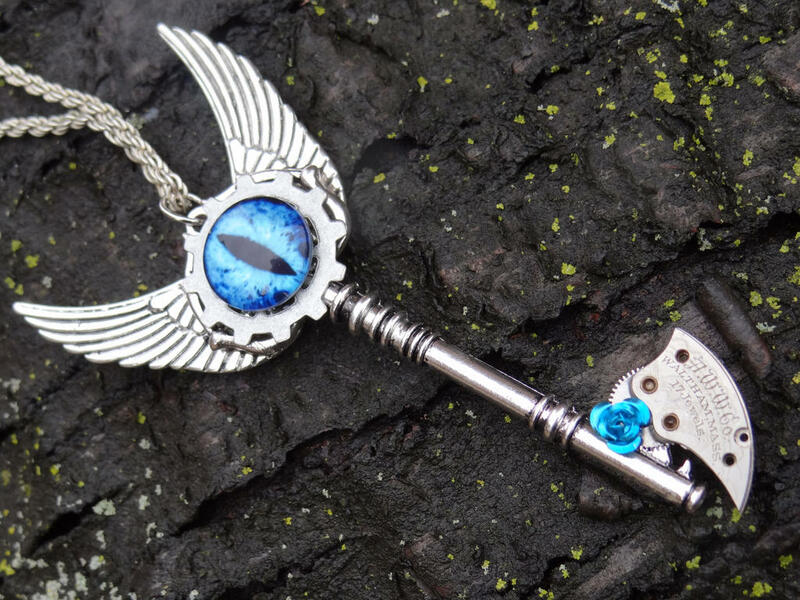 To match her pocket watch she wears a golden key shaped necklace where the end that you put in the lock is shaped kind of like an axe and the handle looks like a red dragon eye with a gear surrounding it on top of wings. On her arms she wears black glovelettes that end right above her elbow which look kind of like fish net, but more random and imprecise. Personality: She is a very sassy and cold person. She will not hesitate to add her two-sense or to tell people how much she hates them. She gets easily annoyed and finds it hard to find people who she likes. She seems angry all the time and snaps often, which is a sort of a coping mechanism for her. She doesn’t want to like people or make friends, because she’ll only end up hurting them and what’s the point of 5 minutes of happiness when it’ll only bring many harsh years of sorrow? She also feels guilty about everything that she’s done, is doing, and will do. On the inside she hates herself and she very rarely opens up. She is constantly on the search for some way for her to die. Weaknesses/Flaws: Cooking, teamwork, using guns, following instructions, keeping calm, staying out of things. History: She was a normal high school living a normal life until one day when Kurisu killed everyone in her school. She was chosen to live again and seal Kurisu’s soul inside her own body to prevent her from hurting anyone else. (Someone else had previously tried to kill her, but they didn’t succeed.) (Also the idea was that Kurisu and Minea would die together.) She managed to do this and went on to live a normal life. Eventually, she discovered that she was given immortality and some of the powers that Kurisu had possessed. She then spent her time traveling, trying to find a way around this problem, which proved to be dangerous and forced her to learn how to fight. Then one day a stranger kidnapped her (enter Sortis) and took her to a lab where they experimented until Kurisu was able to take control of her body, which badly damaged the seal. With Minea’s body, Kurisu was able to kill countless innocents before the people who worked for Sortis were able to get Minea back. The souls who she murdered managed to find a demon and curse Minea to get their revenge. She was trapped in an alternate dimension where each of the souls got to individually torture her. "Hold onto your regret; it's the only thing that's keeping you human." Yea editing the post is locked in the character updates area. I can move it if you'd like. Yes pleab. And you might have to do that for Kurisu as well. Meh as long as the items don't have abilities of any sort I suppose I'll let them slide in a character app. We have a bit of an issue with immortality though. Age wise you can live forever that's fine but can't be killed is a different problem. It can be allowed however if someone strikes you with a killing blow we'd have to say you lose all abilities equipment strength tiers everything ect. Death holds weight here and to maintain that every time your character "dies" they're going to need to lose all their equipment and everything.